← TWSBI Diamond 530! I finally got one! My grail pen has finally arrived! 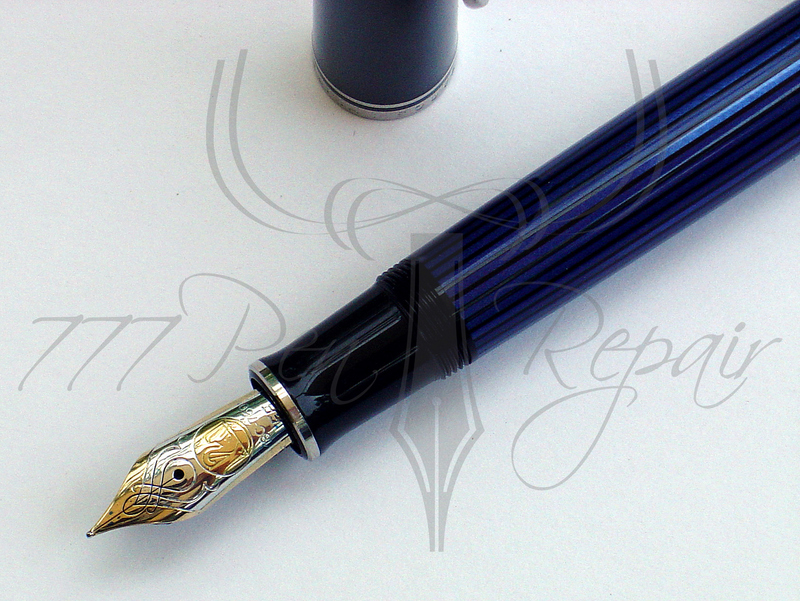 Lovely Pelikan M805 Blue Stripe! I’ve wanted one of these for a very long time now. 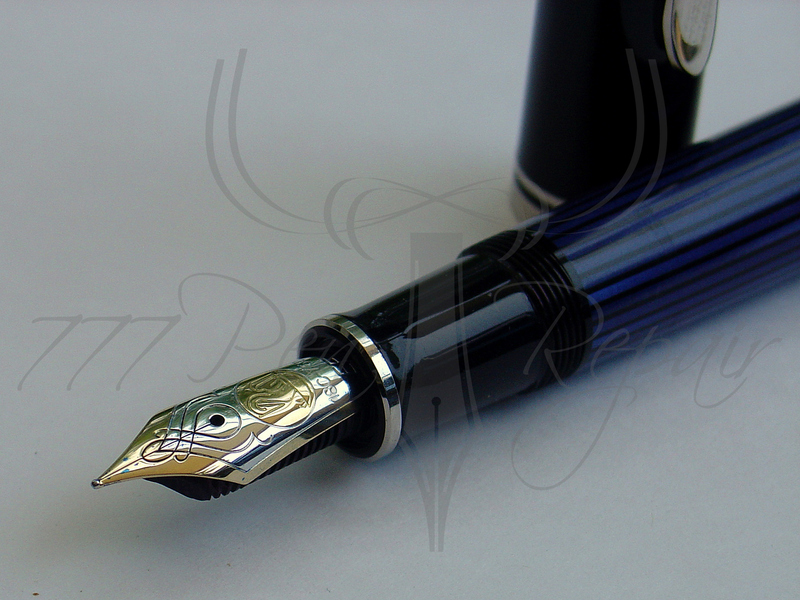 The Pelikan Souveran range always caught my eye as a series of beautiful, reliable, and reasonably priced pens. By reasonably priced I mean the approx. $300.00 they cost goes mostly towards quality. 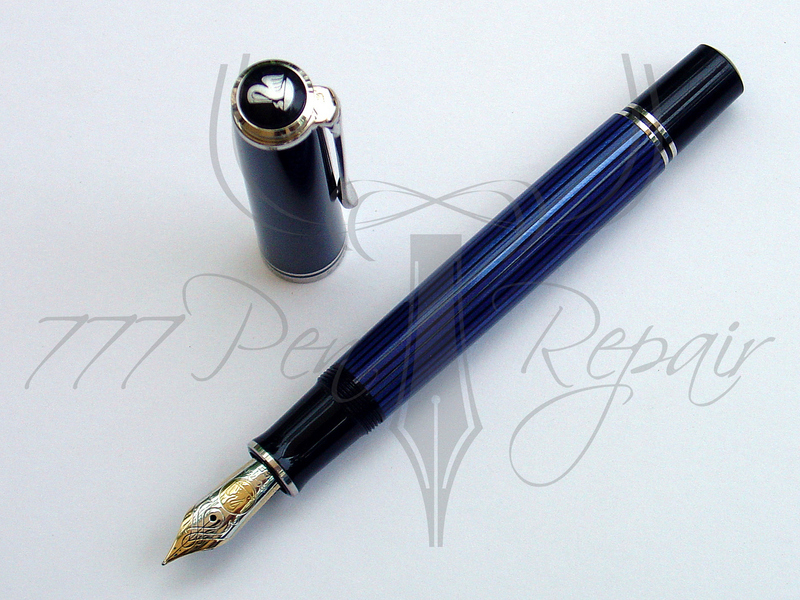 Many other pens of this price range waste the said amount on fancy gold trims or engravings in the pen. It took me forever to decide which size to get. The only real way to get the exact right size was to try them out. Lucky for me, I had an extremely generous friend who loaned me an M400, M600, M800 and M1000 for test-driving. The M1000 was to big, that was evident right away. The M400 was small, but when posted it was a near perfect weight and size. The M600 was my least favorite being to big for me to post but to small to be comfortable un-posted. It was between the M800 and M400. The M800 was almost perfect but just a bit to back heavy for me. At least that’s what I thought. After finally debating forever I decided on an M400. I was in the middle of pursuing one when I decided I ought to give give the M800 one last try. This time, I decided to ink it up. After inking it I hit a perfect place. The weight of the ink counterbalanced the piston perfectly. It was just right for my hand. I had hoped this would happen because there are three things I love about the M800 over the M400. The M800 has a much thicker gripping section. I find this very comfortable for writing with. The M800 has the brass piston. For some reason, I just like the thought of a brass piston. 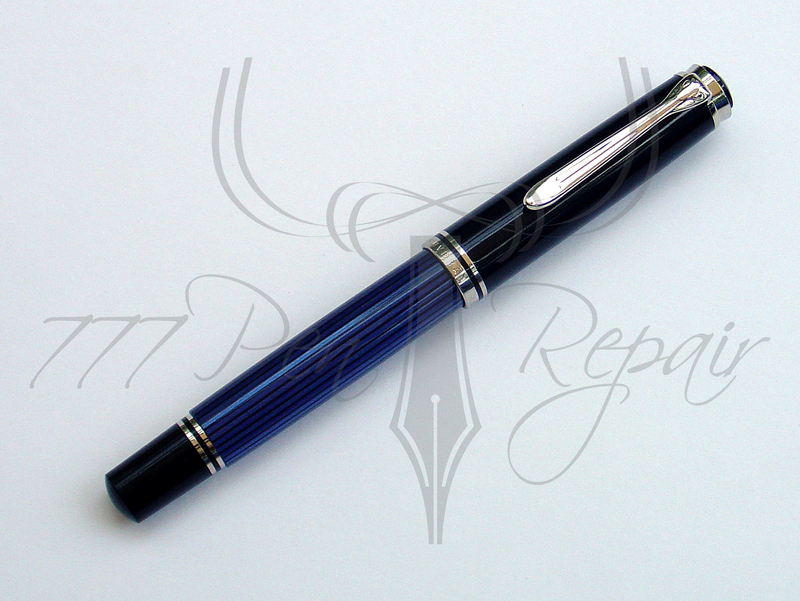 It appealed to me in that it would be longer lasting than plastic, and it added a quality heft to the pen. After deciding in the end upon an M800 it was a matter of choosing a color. I knew I didn’t want green so that narrowed it down to blue, red, and black. Black wasn’t my favorite thing, to boring for an ultimate grail-pen. Red was very nice. Blue wasn’t working for me with that gold trim. So I decided upon red. I thought the red was just perfect until I saw it. I had forgotten about the M805’s. For those who don’t know the difference between an M800 and M805 is simply gold and rhodium trim. The rhodium trim is silver in color. Now I had a pen I really wanted! The “cold” blue color matched perfectly with the silver trim. Now all I needed to do was find a deal on one. I wanted to buy one used and that’s what I ended up doing. About a month after deciding I now have my “grail-pen” in hand. This is the pen I’ve always dreamed of having but haven’t been able to afford until now. 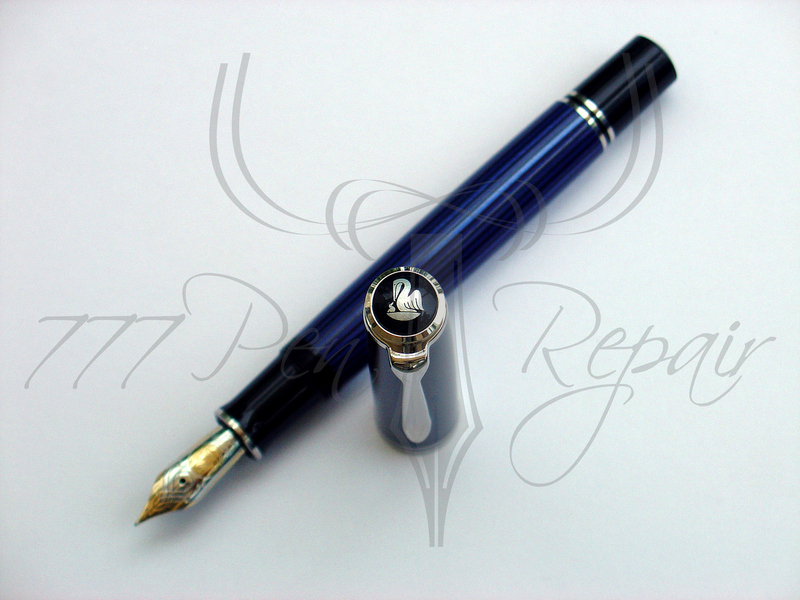 It was a big purchase but the satisfaction gained from owning the pen makes it totally worthwhile! Of course I couldn’t post this without taking a bunch of pictures. There will be more pictures later when I do my full review of this pen. Be sure to subscribe so you don’t miss out on that. Wow that’s a beautiful pen! 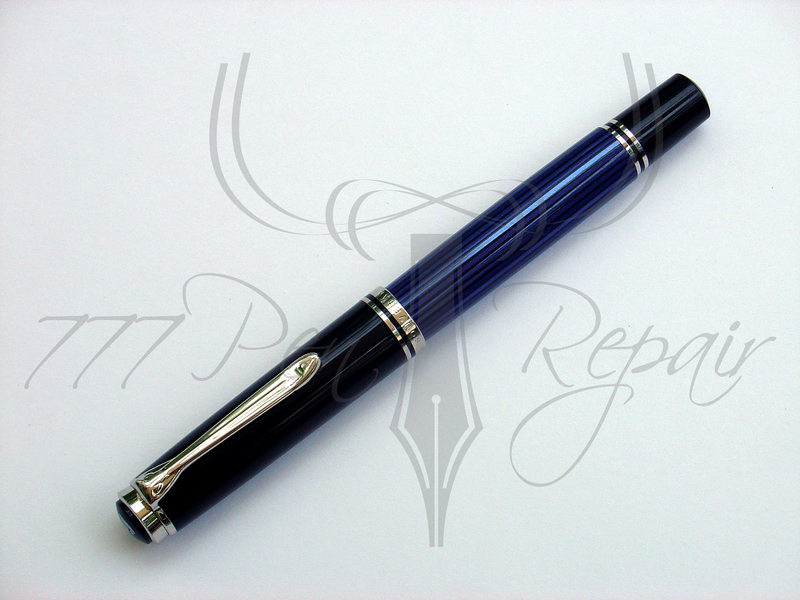 One of my favorite design aspects of the Pelikan M400 – M100 pens. The two-tone gold nibs! The pattern is lovely. This just shows off Pelikans awesome attention to detail! Even the logo is silver on this version of the M805. This has been my most expensive pen purchase ever and I consider it a very good one. I’ve never owned an “expensive” pen before so this Pelikan brings a whole new meaning to the word quality for me. This is my third pen in my collection. It’s not really a collection though. Each pen has a specific purpose and use. I’d love to hear your thoughts on my new pen! What do you think of it, do you like it? What might your grail pen be? Drop me a comment and let me know! Very, very pretty. Congratulations. I like my Pelikans, too. They're M250's, a demonstrator and a beautiful tortoiseshell. Do you work on these pens, too? The only thing I don't like is they seem to collect moisture behind the piston. Let us know more, please. Congrats on your GrailPen!I have several Pelikans and my red-striped M800 with Mottishaw'd cursive italic nib is one of my most-treasured pens. I generally like to post my modern FPs but the M800 is a great size unposted. I also think it's a good investment (not that I buy pens for their resale value) as they seem to be going up & up in price…. I have been wondering about the M800 series but the price is just out of my league right now. Also, for that kind of money, I would have to take the pen for a test drive. I shall be looking for your full review with a lot of interest, Tyler. Ah what a beauty. That's one of my dream pens too. 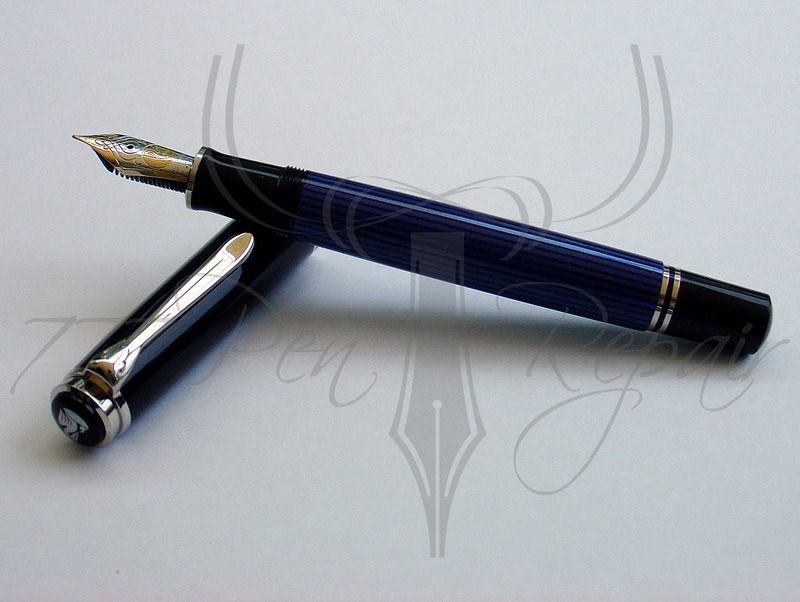 At $300 it's not incredibly expensive, though many people will think you're crazy to spend so much on a pen. For me, it's not a matter of not affording, simply a matter of not being able to justify it. Did you find a new nib for this yet? The broader obliques are very nice. Unfortunately I believe the M8xx and M1xxx only take the 2T gold nibs. 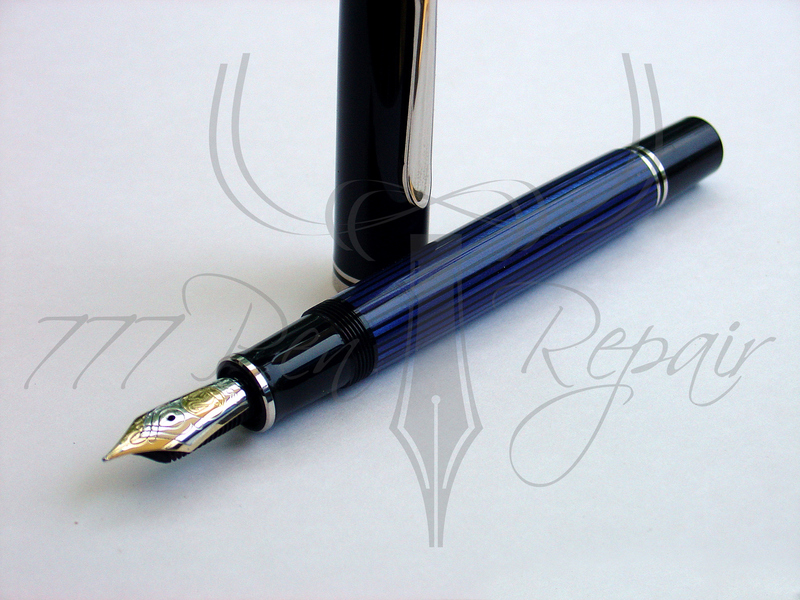 Unless you can arrange a swap, a new nib will cost you almost as much as you paid for this pen in the first place. BTW, I agree about your comment regarding Pelikan factory nibs being hit and miss. Really a shame. But at least you can change the nibs easily (ignoring the cost of-course). For someone considering one of these pens, I recommend you buy one from a known Nibmeister just to make sure everything is in-order. Should run you a bit less than $400 USD. So which size nib did you go for? The photos look like a fine or extra-fine.